/ Modified dec 21, 2018 9:34 a.m.
Sunrise over Mt. Lemmon in the Coronado National Forest. 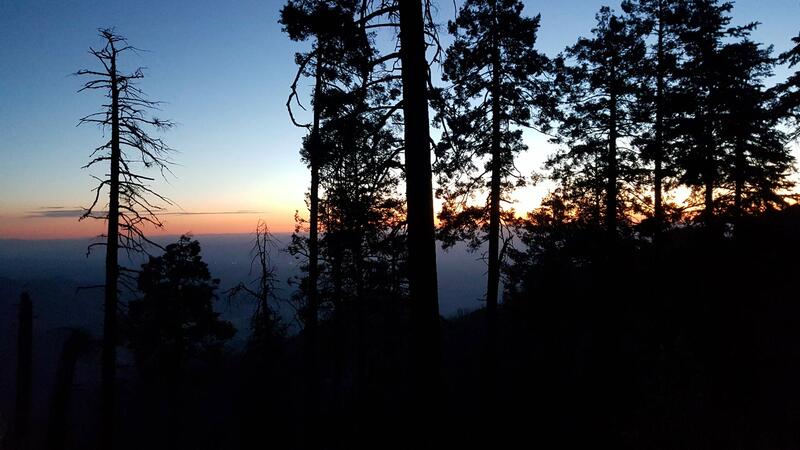 Forests in Arizona and the rest of the Southwest are entering a slow-growth period due to climate change. Margaret Evans, a University of Arizona scientist involved in tree-ring research, is the senior author of a new report that looked at the growth of trees under average conditions. "The question we're interested in how are forests going to respond to changing climate, especially warming temperatures," said Evans. Data from the report indicates Southwest forests may see an average decline in productivity by as much as 75 percent over the 21st century as the climate warms. "As we move into the future as those temperatures go up, it's going to cause drought stress for trees in the Southwest, and that's going to cause the growth of trees to decline," according to Evans. The information is based on a new database of information from trees growing under average conditions instead of those thought to be most sensitive to variations in climate. The report was published in the journal Nature Communications.